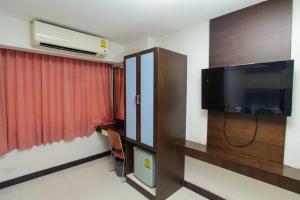 The Cozi Inn Hotel is situated in Pratunam, Bangkok's shopping district. 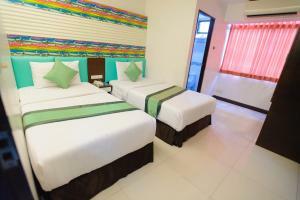 The hotel features a restaurant and air-conditioned rooms with flat-screen TVs. Free Wi-Fi is available throughout the hotel. Rooms at Cozi Inn Hotel are equipped with a fridge and telephone. 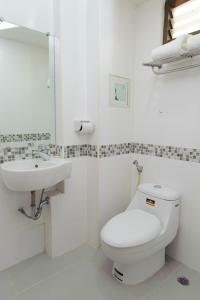 Private bathrooms have shower facilities and toiletries. Guests can make travel arrangements at the tour desk, or avail of laundry services. 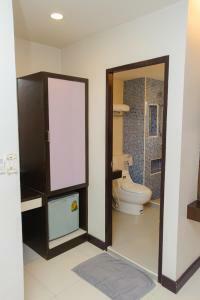 The hotel also offers a business centre, transport services and safety deposit at the reception. The restaurant serves Asian and Indian dishes. Coffee, tea and other refreshments are available at the bar. 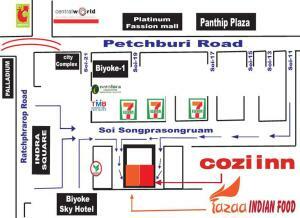 The Cozi Inn Hotel is 150 metres away from Ratchaprarop Airport Link Station. Guests can take a 20-minute ride from Makkason Station to Suvarnabhumi International Airport. This double room has a minibar, air conditioning and electric kettle. Rate: THB 1150.00 ... THB 1700.00; select dates below to get current rates. 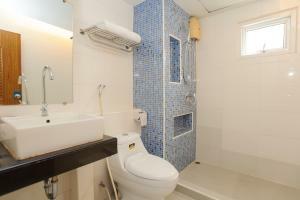 This twin room features a satellite TV, air conditioning and tile/marble floor. This suite features a seating area, electric kettle and air conditioning.